On this week's special edition of the Stakelbeck on Terror show, CBN News analyzes the growing push by radical Muslims to incorporate Islamic Sharia law in America. 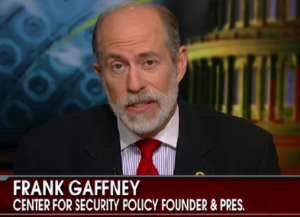 National security experts Frank Gaffney of the Center for Security Policy and retired Lt. Gen. William "Jerry" Boykin join the conversation. The pair contributed to the Team B II report, "Shariah: The Threat to America." Watch as they explain how Sharia is making inroads in the U.S., who's behind the trend, and what can be done to stop it.